Presented by The Transnational Institute. 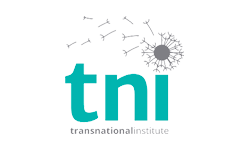 The Transnational Institute (TNI) is an international research and advocacy institute based in Amsterdam. For more than 40 years, TNI has served as a unique nexus between social movements, engaged scholars and policy makers. Showcasing the importance of working between social movements engaged scholars, policy makers, artists and activists. TNI is proud to host a few hours of short presentations, friendly discussion, meet and greets with short videos, music and informal conversation at the Imagine! Festival. Come along and meet some of the leaders of our programmes and check out examples of Transformative cities, alternative security, remunicipalisation of public alternatives, social inclusion and rethinking shrinking space and more.